Why are guests coming to your hotel? The competion is intensifying. With a clear focus on the needs of your target group you may remain successful. The prerequisite is that you focus the infrastructure and your services of your business on what your guests really appreciate. 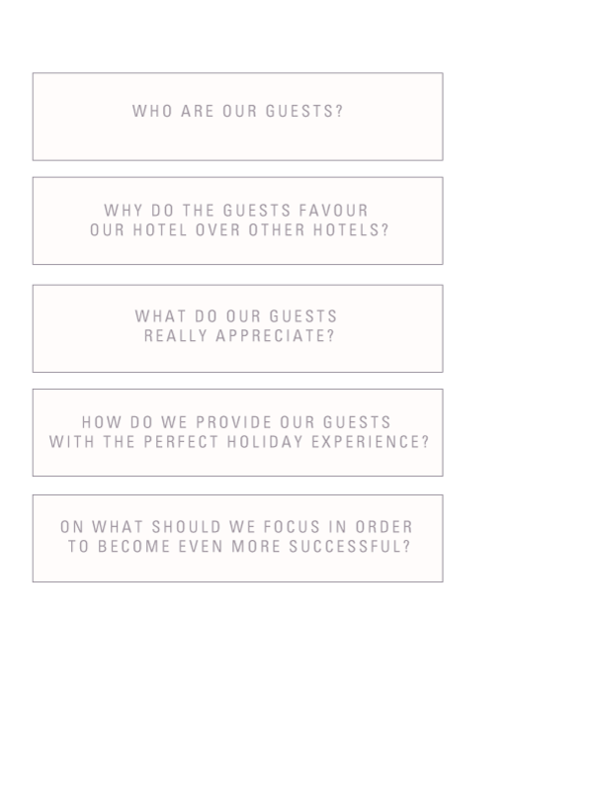 The alignment of your hotel to your guests’ expectations can be reached by answering five questions. Mr Westreicher is pleased to accompany you. Clemens Westreicher is at your disposal for an initial noncommittal conversation. He will present his dialogue-oriented working method to you and you check out if the chemistry is right.